The Bod Pod employs a patented technology called Air Displacement Plethysmography to measure how surrounding air responds to fat and non-fat tissue. The test takes approximately 5 minutes. All results are read and interpreted by our clinically trained staff. 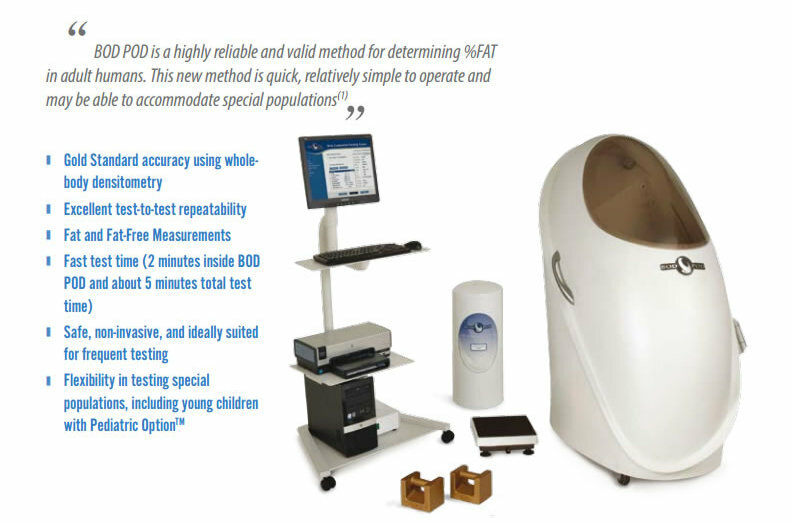 Research studies at major universities have established the outstanding accuracy, safety and speed of the Bod Pod. Before the Bod Pod, the most accepted method was underwater weighing (the “dunk tank”). 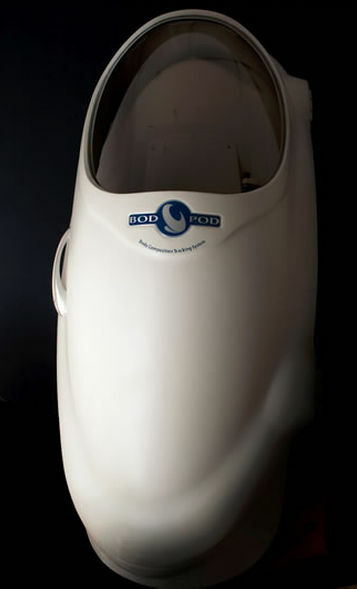 Bod Pod and underwater weighing usually agree within 1% body fat for adults and children. Other methods, such as skinfold calipers, bioelectric impedance, and dual energy x-ray absorptiometry, have been shown to be much less accurate. Bod Pod accuracy is also increased because of its easy test process. There are numerous difficulties and inaccuracies associated with properly determining obesity or general health based on a bathroom scale or BMI. Because of this, The BOD POD has quickly become the only accurate, safe, and fast method for assessing body composition. 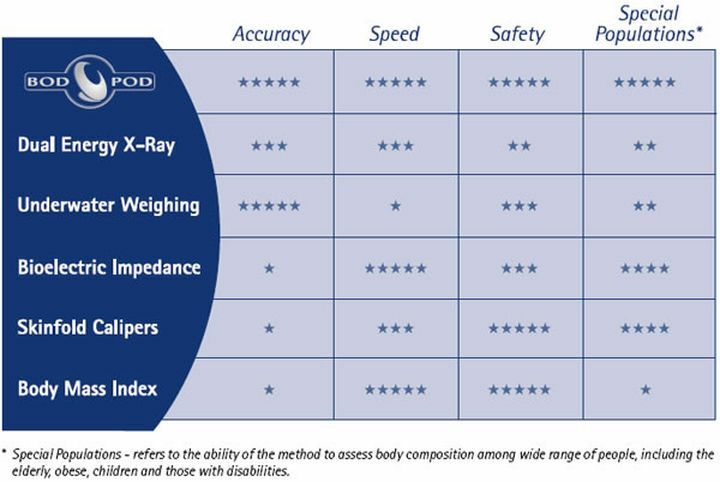 In addition to accuracy, safety, and fast test time, the BOD POD also provides flexibility in testing special populations – something other techniques are unable to offer.